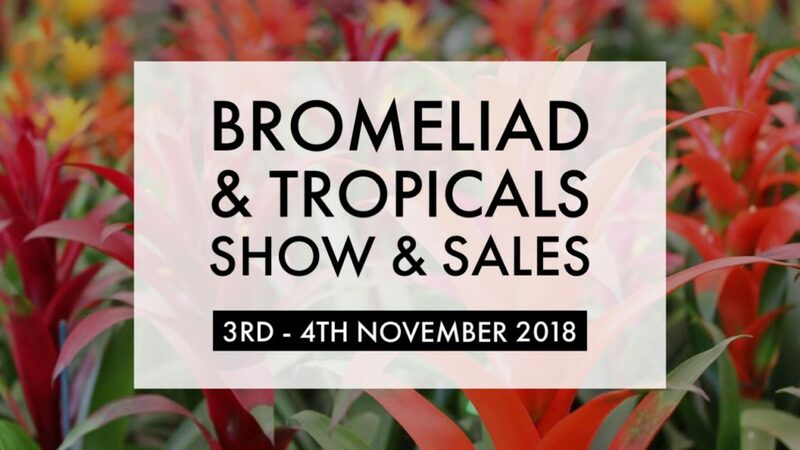 The Bromeliad Society of Queensland invites you to their 2018 Spring show – the Bromeliad & Tropicals Show & Sales. For the serious collectors, there will be a Rare Plant Auction on the Saturday at 11am. If you cannot attend, online bids will be accepted on Facebook with the highest bidder being a phone bidder on auction day. 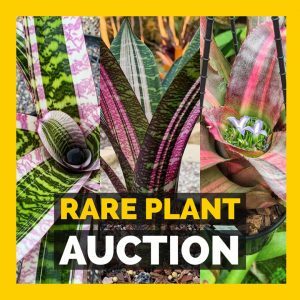 To see the rare plants up for auction, head to our Facebook page. 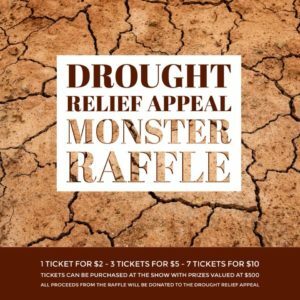 We are proud to support the drought stricken farmers by donating all proceeds of the Monster Raffle to the Drought Relief Appeal. There will be two winners with prizes of a total combined value of $500 in plants. Tickets can be purchased at the show. Winners for the Monster Raffle will be drawn at 12 noon on Sunday 4th November and will be contacted after the drawing of the prizes. Thanks to the growers for donating the plant prizes. 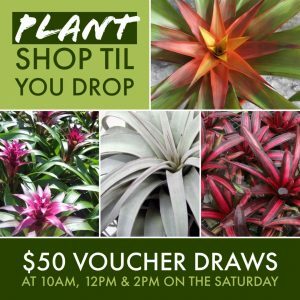 Fill in your details at the show to go in the draw to win $100 worth of plants, it’s FREE to enter! The winner of the Lucky Door Prize will be drawn at 12 noon on Sunday 4th November and will be contacted after the drawing of the prize. 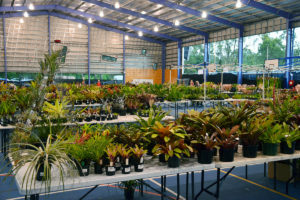 Keep your entry ticket as there will be prize draws on Saturday 3rd November for $50 plant vouchers to use at the show. Draws will take place at 10 am, 12 pm and 2 pm. Winners must be present at the show to collect their voucher. Vouchers are not transferable and cannot be redeemed for cash. BSQ is not responsible for lost, damaged or stolen vouchers. Join us! 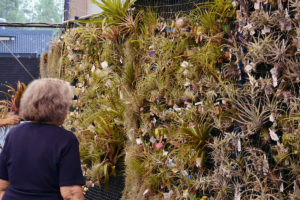 Become a Bromeliad Society of Queensland member and you’ll receive a $20 Show voucher. 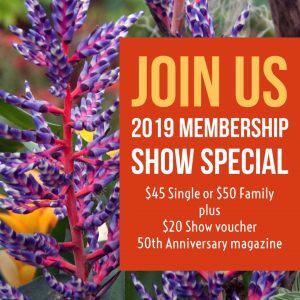 For only $45 for a single and $50 for a family, you will receive membership for the remainder of 2018 and all of 2019. You’ll also get a Welcome pack that includes the 50th Anniversary magazine.